Are you ready for Mount Everest? 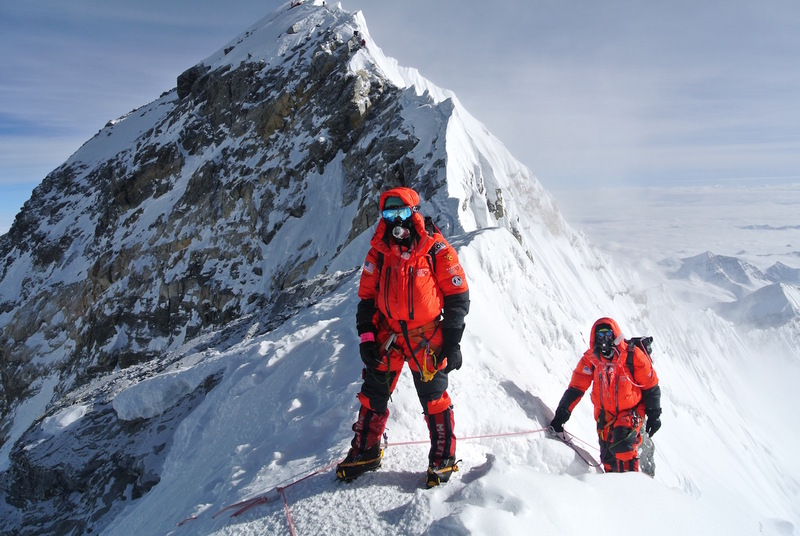 How do you know if you are ready for Mount Everest? 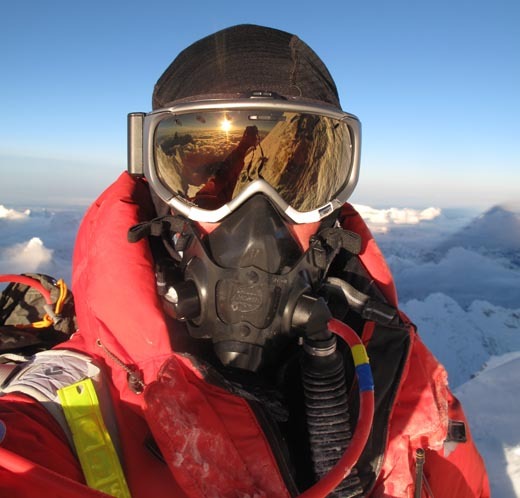 Bill Allen near the summit of Everest at sunrise. The difficulty and challenges involved in a Mount Everest climb have, in some spaces, been totally over-hyped with people equating it with a death defying experience only for the most incredible athletes, and in other spaces people will degrade the entire experience saying it is an easy climb, over crowded with inexperienced people getting pulled to the top of the mountain. What is the truth? As usual, the answer is somewhere in the middle, but that doesn’t make for a catchy enough headline to get picked up for a magazine cover or to trend on social media. The truth is that while the modern Mount Everest expedition is not necessarily an exercise in suffering and deprivation (we enjoy good food, comfortable tents, and a semi-luxurious base camp), it is still a huge endeavor that requires a lot of grit and determination. It takes a long term commitment to gain the skills, fitness, and high altitude mountaineering experience to be successful. How do you decide if it is right for you? Are you ready for Mount Everest? What kind of mountaineering experience do I need to climb Mount Everest? At a very minimum, we generally expect climbers to have climbed Aconcagua and Denali. We feel that these two expeditions are key to building a base of experience. They are quite different from one another, but compliment each other very well for preparing a climber to attempt Everest. We also recommend spending some time on steeper terrain (ice and snow) prior to going to Mount Everest and we invite all of our climbers to join us for an Everest prep weekend in the famous Ouray Ice Park to practice these skills. Aconcagua: The most popular climbing routes on Aconcagua are not technical mountaineering climbs, but do provide valuable altitude and expedition experience. 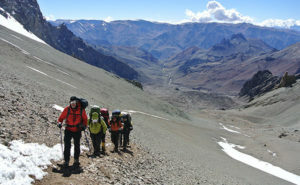 Aconcagua is typically climbed in the mid-summer in South America, so between December and February. It is a two and a half week expedition to reach the 22,841 ft. (6,962 meters) summit, which is the highest point on earth outside of the greater Himalayas. At virtually 7000m, it is serious altitude, but the nature of the routes make them very approachable expedition for less experienced mountaineers. On Everest, we’ll start using supplemental oxygen at around the same altitude as the summit of Aconcagua, so it is really a perfect place to experience that altitude and learn how your body adapts. Aconcagua is often a climber’s first extended expedition experience, making it a great place to get a taste of a longer, high altitude expedition and to make sure this is something you enjoy! climbed route (the West Buttress) is definitely a serious mountaineering undertaking, requiring solid crampon skills on steep snow and icy terrain. Denali is also one of the harshest environments fo any of the 7 summits, adding a true arctic challenge to its high altitude. Many climbers who have successfully climbed both Denali and Everest will say that Denali is actually a more physically challenging mountain. you will also be carrying what will hopefully be the largest loads of your climbing career on Denali, while loads on Everest are typically pretty small. We’ve found that climbers who have done well on these two expeditions tend to do well on Mount Everest, and Mountain Trip Everest teams are nearly always made up of climbers who have done well on one of our Denali expeditions. If you’ve climbed Denali already and are curious if Mount Everest might be a reasonable next step, please give us a call or shoot us an email. We can help you decide if your previous mountaineering experience has you sufficiently prepared or we can help you come up with a plan to get yourself ready. 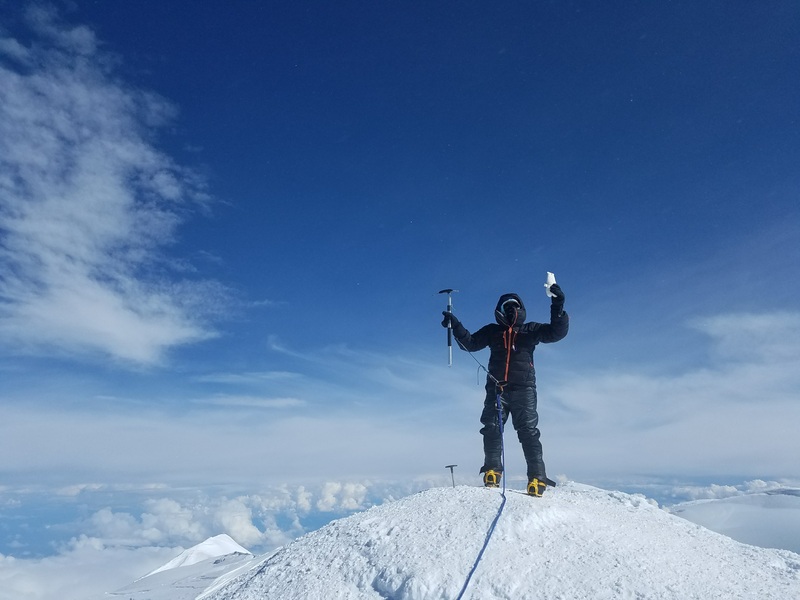 If you haven’t yet climbed Denali, we really feel it is an important step on the way to having success on Everest. It is hard work, so please read this article on Preparation and Training for Denali. Am I fit enough to climb Mount Everest? You don’t need to be a professional athlete to climb Mount Everest, but you should train like one! If you’ve already climbed Aconcagua and Denali, you have an idea of what a long day climbing at high altitude is like and it can help you gauge whether you have the fitness you need for another hard peak like Everest. If you got to the summit and back on these trips at a good pace and had something left in your tank at the end of the day, you are on the right track. If you did well on those peaks, then you are probably doing some kind of training already, but you should plan on increasing your training volume in the six months leading up to your Everest climb. Being fit is one of the most important things you can do to prepare, not only for success on your expedition, but to really enjoy your climb of Mount Everest – and it is within your control! One thing I really respect about the climbers that I guide on big expeditions is that they have shown an amazing amount of “grit” and determination just to get out of bed and train hard to be ready for the climb. Often our clients are doing this training on top of full-time work, while balancing the demands of family life, which means a lot of early morning runs and workouts. The time you put into training shows on an expedition, and it pays off. It isn’t the “will to succeed” but the “will to prepare” that will get you to the top of Mount Everest! At Mountain Trip we provide all of our Everest climbers (including our guides) with a custom 24-week Mountaineering Training Program from expert coaches Scott Johnson and Steve House at Uphill Athlete. We’ve used training programs from Uphill Athlete over the past few years, and nearly every one of our Everest climbers in recent years has followed their training program as well. It’s a great program and if you follow it, you can feel confident that you’ll have the deep reserves of strength and fitness to keep going to the summit and back again. This is an important question that you should ask yourself. It is a long expedition, nearly 2 months long, and if you aren’t committed to being there and giving it your best efforts physically, and mentally, it can be a really tough trip. You need to be able to commit to putting in the time to be really well prepared, as described above, and there aren’t any shortcuts. It is an attainable goal if you are willing to put in the time and energy to make it happen! We love working with climbers to help them achieve huge goals. If you are wondering about it, get in touch, call us and make a plan. We can even offer private coaching and private expeditions to suit your needs. Next article will focus on choosing the right approach. Western guides or only Sherpa guides? My partner really wants to do Everest, and we are constantly always thinking about whether we can train ourselves/ be more mentally prepared to face it. And maybe we are now! !